Nawaz Sharif has been serving a seven-year jail term in Lahore's Kot Lakhpat jail. 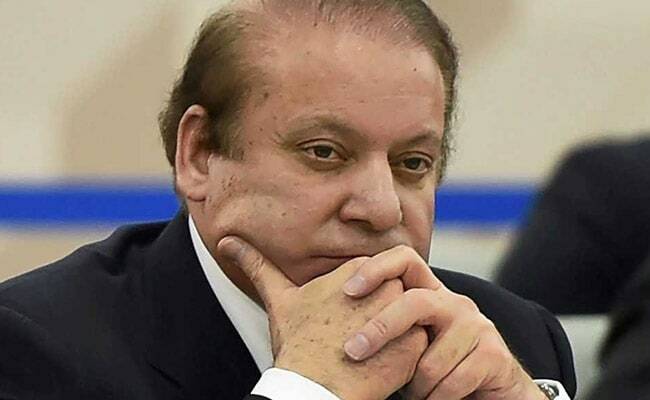 Pakistan's jailed former premier Nawaz Sharif will maintain his prison room on his own as the Punjab province government refused to provide him a prisoner who could serve as his orderly, according to a media report. Mr Sharif has been serving a seven-year jail term in Lahore's Kot Lakhpat jail in the Al-Azizia Steel Mills graft case and being a former prime minister, he is entitled to better facilities including an orderly. Punjab's Inspector General of Prisons Shahid Saleem Beg said on Wednesday that Punjab government decided that it could not provide a prisoner to Mr Sharif who could serve as his orderly, the Dawn reported. The prisons chief said "Nawaz Sharif has been asked to maintain his room" to serve out the seven-year "rigorous" imprisonment handed down to him in the Al-Azizia Steel Mills/Hill Metal Establishment reference. The prisons chief said Mr Sharif's case was highly sensitive and he could not be allowed to go outside his barracks in the prison. He said Mr Sharif's "rigour had been kept within his barracks". However, he later clarified that Mr Sharif had not been put to any rigour, adding that the jail manual allowed elderly inmates certain concessions on that count. "Any issue related to Nawaz Sharif in jail could bring a bad name to Pakistan," Mr Beg said.